Growing up, I have spent years watching my father work with children with different abilities. He is a paediatrician with a specialization in developmental neurology, so the house in the evening, which turned into a clinic, was always full of children with different problems. I have also seen the terms changing from challenged to disabled to special needs to differently abled. I won’t contest the terms, as I have realized that taxonomy neither changes the children nor the way we work with them. With my father, the experience was limited to observation. With my teacher, it went beyond observation. My teacher, Bala, is an actor and has spent the past 18 years working with children with learning disabilities. I remember my first class as a teacher in a school for children with learning difficulties. I had gone alone as a substitute for Bala. The only background story he gave me was – they’re exactly like you. It was the best initiation I could have received. The brain is a fine instrument with a lot of possibilities, but one of its most vulnerable features is of adaptability and plasticity. One instruction from my teacher was enough for me to march into class with no stereotypes or biases. I was working with the children on a play that day, and I have been associated with that school for the past 6 years now. I have seen these children bloom as actors, graduate and become stars in their own right. I have seen children with ‘diagnoses’ of ADHD, Autism, Dyslexia, Cerebral Palsy etc. with co-morbidities, but I’m yet to see a child diagnosed with an incapacity to live a healthy life as a good human being. Many ideologies work towards making these children trained in the ways of life we deem normal, but somewhere we fail to recognize the multitude that the term normal can encompass. It is not one, but many, and these children comprise that many in their own ways. With specific reference to autism, the problem is of a different concern, mostly because the cause(s) is/are mysterious, ranging from curses of previous birth to lack of nutrition during pregnancy to changing lifestyles and junk food to inadaptability of mirror neurons. In my experience, they are children who watch life differently and hence, respond differently. What is organic and natural to them, may seem bizarre to us, but it does not give us the authority to change or cure them, for there is nothing incorrect about their perceptions. My father once joked that we all have strains of autism. I actually agree with that to an extent, not to dilute the perception of autism but to make the understanding that the features they have, are features we all have, but in a more pronounced manner, a little more embraceable. I work with children on theatre, and I must say that they are some of my best actors. Teaching theatre to them is no different from teaching others. It just requires more patience, and most importantly repetition. They love acting, for theatre as a craft requires one to suspend disbelief and respond honestly to an imaginary stimulus. And my children do it with aplomb. Their sense of imagination isn’t corrupted by social mores and institutionalized conceptions. Their free thinking and instincts make them the most honest people on stage. Albeit, the influence of movies and serials is there everywhere, and these children are not devoid of it; and sometimes it does become a strife to let them not succumb to the way a popular star responds. Nevertheless, giving them the space to think freely and imaginatively allows them to explore their instincts more than we do. Their access to their natural response is easier than most of us, who find thinking before acting more prudent than acting without thinking- something most essential for the craft of theatre. From Bala, I learnt how to use each child’s capacity to the maximum, and this is not just based on skills they possess, but the skills they themselves wish to explore. If a restricted speech student wants to act, he/she will act, and dialogues and patterns of speech will be catered to ease. Speech exercises have allowed many of my students to speak dialogues with confidence and assurance. When the term starts, all kids get to choose their extra-curricular activity- dance, music or drama. One thing that has been consistent in all the years that I have been working is that the choice lies with the child. No teacher decides or the child what they are best at and should pursue. In this way, one doesn’t enter class with a fixed syllabus and a lesson plan. One works around each day, with every child in mind individually. With time, working with them hasn’t changed them as much as it has changed me and my ways of teaching/working. More than teaching, all I have realized I need to do is create a space that is safe and healthy for them to be themselves, and the work is done. Autism is not here for a cure. It is here to be embraced and worked with, not taught upon and transformed. 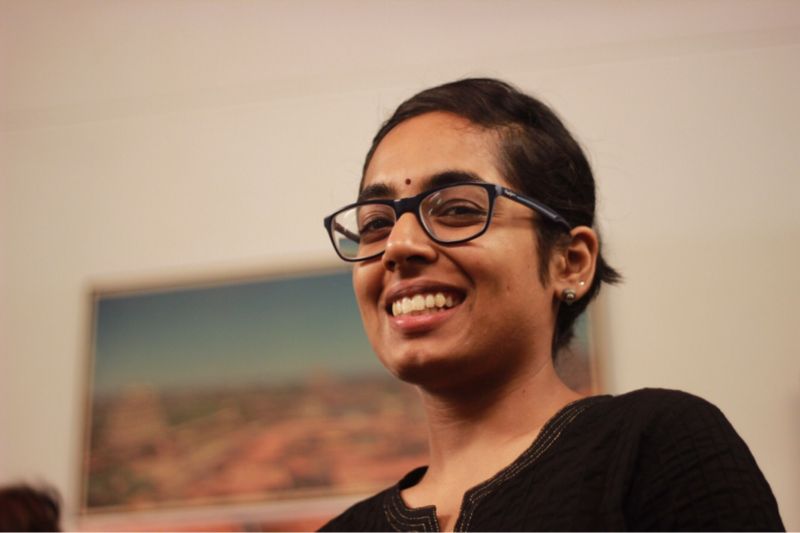 Meera Sitaraman has a Bachelors in Sociology and a double Masters in Sociology and Medical Anthropology. She works as a theatre worker and teacher with Theatre Nisha. She has been working with children for the past 5 years.